Learn more about how the value of a diamond is assessed. The information in this page is very important in the diamond business, so be sure that you understand all of the facets of the 4Cs before you try and sell your diamond! Larger diamonds increase the value per carat. And the larger the diamond, the rarer it is. This is why larger diamonds sell at higher per carat prices than smaller stones. A diamond’s proportions have become a more important role in the past few decades now that certification, branding and advertising have emphasized the importance of the diamond’s cut grade. Some shapes of diamonds are more popular and in demand than others. However, there is a home for every diamond and you need to sell to a diamond buyer, like The Diamond Trade, who knows how to access ALL markets and can pay you cash for your diamond accordingly. Clarity grades not only affect the beauty a diamond displays but the price you should expect when selling a diamond. The difference in price is “night and day” when comparing low-end “commercial grade” or included diamonds compared to clean VS to Flawless clarity graded diamonds. 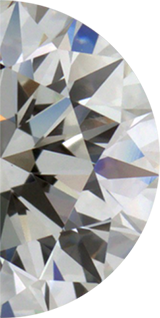 Each end of the clarity scale has its own demand in the global diamond market. Color plays one of the most important role in price since the whiter the diamond, the more it is worth. Diamonds commonly range from very white to yellow with gradual levels of saturation the lower the color grade. The best and whitest color grade begins with “D” color, and goes down to Z color, before getting into fancy yellow color grades. The per- carat price on diamonds gradually drops as you ascend down the alphabetical color grades. Understanding the 4 Cs and where to sell a diamond is essential.